It’s easy for clinicians to reach the point of app overload as hundreds of new clinical apps get released each month. So I compared notes with our Chief Medical Officer, S. Michael Ross, MD to curate this list of a baker’s dozen we think are particularly handy for clinicians. The list is intended to be useful but not definitive. If you're looking for more, check out the searchable and sortable-by-specialty list of apps at imedicalapps.com. We like this site because its editors are full-time, practicing physicians, so the reviews have a real-world perspective. They also follow a strict conflict of interest policy in an effort to provide unbiased reviews. So here you have it: a baker’s dozen worth of apps, some of which you may know, and others we think you may love after downloading and taking them for a spin. If you are like more than 4 million physicians and allied health professionals, Medscape is already on your device. If it’s not, it probably should be because it’s a go-to app for accessing medical news, FDA announcements, journal articles, and point-of-care decision-making tools such as a pill identifier, drug interaction checker, and multiple clinical calculators. You can also download continuing education coursework on more than 1,000 topics. Available for iOS and Android. Free, with a registered account. It’s difficult to take an accurate patient history when there is a language barrier. And poor communication is a leading cause of medical errors. MediBabble to the rescue. 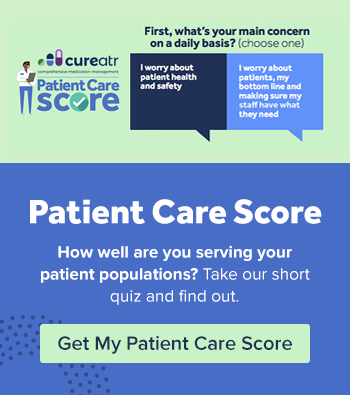 This nifty app contains comprehensive questions that enable clinicians to perform a history and examination with patients in a language other than their own. Translations are provided both text and audio, and questions are organized by body system. Available in English, Spanish, French, Mandarin, Cantonese, Russian, German, and Haitian Creole. Available for iOS. Free, no account required. MedCalX maintains the granular details of more than 300 formulas, scores, and classifications so your brain doesn’t have to. From CURB-65 score to Framingham CHD risk to the expected intestinal length for pediatric patients, you enter data and MedCalX does the math. Create your own workflows and series, as well as email, print, or save the results to an external database. Available for iOS in English, French, German, Portuguese, Spanish, and Chinese. Free to download, then a $4.99 in-app purchase to unlock the formulas. Who knew recording hand-hygiene observations could be fun? Designed by The University of Iowa, this app negates the need for clipboards and transcription and the screens are simple and straightforward. Choose the facility form a pre-loaded list of U.S. hospitals as well as the unit being observed. Pick a job role and you’re ready to observe whether hands were washed on the way in or out of the patient room or unit, as well as whether the clinician gloved and gowned. Data can be emailed as a .csv file in one click. Available for iOS. Free, no account required. This app is basically a HIPAA-compliant Instagram for medical images. The intent is to crowdsource and learn from unusual clinical cases that a typical clinician may not see on a regular basis. Like the foot X-ray I reviewed. The patient was working in her yard wearing flip-flops, got angry, and kicked a sundial. The needle penetrated deeply into her foot, but was removed without incident. The physician commented that the patient took the needle home as a souvenir and as a reminder not to kick things when angry - and in flip flops. Available for iOS and Android. Free with account registration. Speed medication reconciliation and mitigate preventable admissions/readmissions. This novel, real-time view of prescribing and pharmacy pickup history for 265 million US patients. Meds 360 delivers a 12-month longitudinal view of meds, logically organized by therapeutic categories. It uses a graphical display to show patterns of prescribing over time based on fill dates, dose changes, refill gaps, and therapeutic duplications. Optional notifications alert clinicians to primary non-adherence, potential controlled substance abuse, absence of available refills and more. Available for iOS and desktop. Contact Cureatr for pricing as well as integrating Meds 360 with cloud-based real-time push notifications and secure messaging. Case is a medical journal app with a machine learning recommendation engine baked in. Something cool about Case is that you can follow any of more than 100,000 keywords. For instance, you’re an orthopedist who specializes in spine. Maybe you want to follow the growing threat of tick borne diseases in the US. Case gives you that power. Even better is that the app’s preference engine will recommend journal articles based on what you tell it you enjoyed reading in the past. Kind of like Netflix. A more pedestrian but nonetheless important feature is the ability to subscribe to a list of journals or one of 81 medical specialties. Available for iOS and Android. Free with account registration although some journals may require a subscription for full text access. 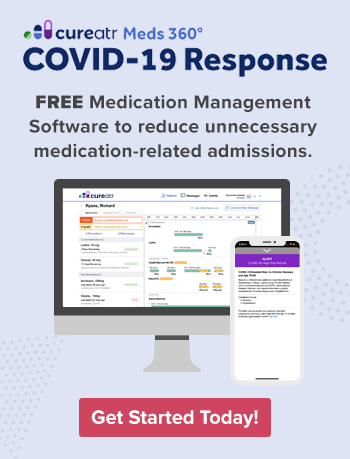 A clinical reference and drug interaction content tool with a focus on providing educational content to medical, nursing, and non-physician provider schools. In addition to being a modular, stand-alone app and desktop reference tool PEPID's products are integrated within the systems of clinics, hospitals, universities and schools around the world, and used in clinician classroom training. Physician-founded, PEPID’s built-in workflow has been developed based on years of engagement with doctors, nurses and pharmacists. Available for iOS and Android. One-year module subscriptions range from $75/year to $299/year. Visit the company site for complete details. UpToDate promotes itself as the only clinical decision support resource proven by more than 80 research studies to improve outcomes. More than 1.5M physicians worldwide use it for drug-drug interaction data, graphics search, full text articles, calculators, and more than 1,500 patient education topics, the majority of which are also available in Spanish. You can also earn CME credit as a result of researching questions using the app. Available for iOS and Android. Subscription price varies depending on organization type and size. An early-on mobile tool for physicians, pMD was founded in the late 1990s as a charge capture tool and early patient notes application. Today the company offers secure messaging, charge capture/MIPS registry, clinical communications, and care navigation. The mobile charge capture app allows easy, real-time transmission of billing data to staff, instead of using paper. Great for surgeons and specialists who see and treat patients outside the office clinic. pMD prides itself on being the app that makes doctors happy® and there are gads of great reviews on its website. Available for iOS and Android. Contact PMD for pricing. Care delivery suffers when physicians are overwhelmed, fatigued or on the verge of burnout, which a high percentage of physicians unfortunately are these days. Dr. Dike Drummond, CEO of TheHappyMD.com, has taken the learnings from his work coaching hundreds of burned out physicians - and used it to develop video and audio lessons that can immediately lower stress for physicians and healthcare workers. Designed to lower stress levels, prevent burnout, and help build a more balanced life. Available for iOS and Android for $9.99. Doximity is a highly-rated social network used by 1M+ physicians. It’s accessible only to U.S. physicians after they’ve completed a verification process. Use it to find and connect with other physicians, read news, follow specialty trends, and look for jobs. You can also send HIPAA-compliant faxes through your mobile device and earn Category 1 CME for reading articles. Available for iOS and Android. Free with account registration to U.S. physicians only. Accounts are activated after a verification process. No list of clinician apps would be complete without this leading medical reference app. One of the first to hit the mobile reference tool scene in 1998, Epocrates delivers drug information (e.g., dosing, indications, contraindications, pill ID), a prescription interaction checker, clinical practice guidelines, and peer-reviewed disease content. It’s used by more than 1M clinicians. Now part of athenahealth, Epocrates integrates with athena’s EHR, and enables sharing of patient alerts among clinicians. Available for iOS and Android. Free to download with an in-app purchase price of $159.99 for Essentials and $179.99 for Epocrates Plus.